The candidates standing in the 2017 General Election for Glasgow's UK Parliamentary constituencies have been announced. A total of 33 candidates across the city's seven constituencies have been confirmed as seeking election from the vote on Thursday, June 8 this year. The counting of votes will take place overnight on June 8 at the Emirates Arena, Glasgow. More details on the candidates are available on the 'Elections and Voting' pages of the council's website. 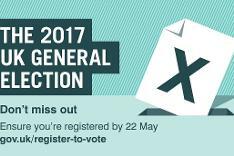 Further information relating to the General Election such as how to register to vote and deadlines on applications for postal and proxy votes can also be found via the 'Elections and Voting' pages.